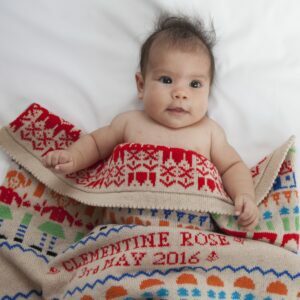 Here at Charlotte Cot Blankets we are fascinated by baby names. 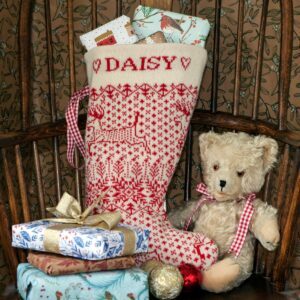 We knit them on our personalised blankets every week and also every year on the personalised Christmas Stockings. Ranging from more popular names to some very unusual ones, there is always something to talk about! The pregnancy and parenting website BabyCentre UK has just revealed the nation’s top choices for baby names for the first half of 2018. Olivia has retained the top girls’ spot, closely followed by Sophia and Amelia. Meanwhile Muhammad remains at the top of the boys’ list, followed by Oliver and Noah. BabyCentre report that it’s outside of the top 20 that the exciting new trends can be spotted, including some “wierd and wonderful” spellings. 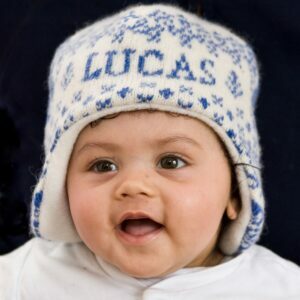 Parents have also been favouring x, y, and z when choosing unusual spellings – with Jaxon has become more popular than the traditionally-spelled Jackson for the first time. 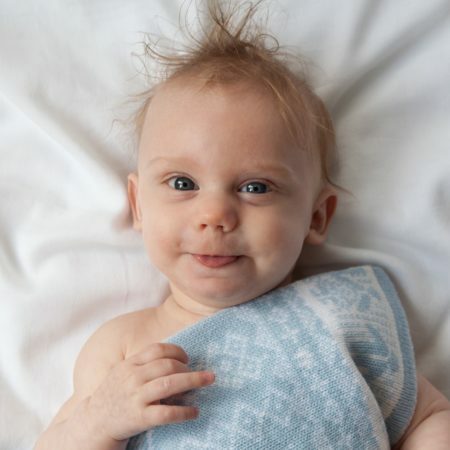 When Charlotte Cot Blankets started in the 1990s, names from Charlotte’s grandparents’ generation were popular. Recently, Charlotte is seeing a revival of names from her parents’ generation. For girls, names like Margot, Iris, Nancy, Violet, Olive and Dorothy. And for boys, Arthur, Henry, Harry, Theo (Theodore) and Ralph. We’ve also noticed that George has become more popular after the birth of Prince George in 2013, and expect Louis to become a more popular choice too. Charlotte continues to be popular of course!